If you're going to get someone to re-invent the classic director's chair, then it might as well be the classic luxurious car brand. 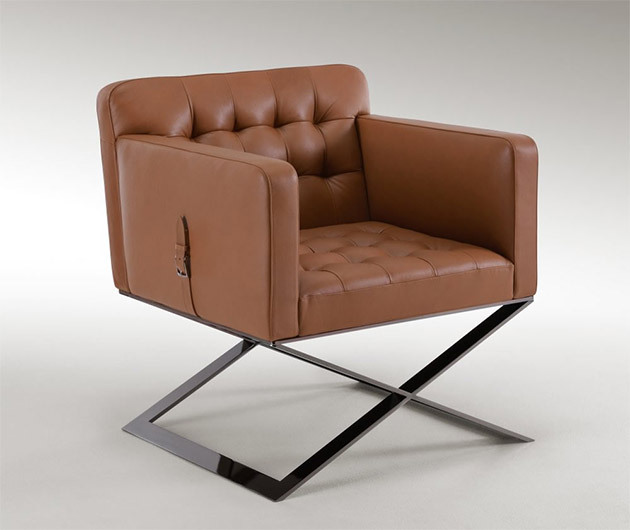 The exquisite Bentley Harlow Armchair is crafted from opulent leather of a cognac hue, emblazoned with metal buckles, all sitting atop a gunmetal-finished linear steel base. The slow slung design simply seeps class.